Ridley did not play in Pittsburgh's 16-13 win over Cincinnati in Week 17. Analysis: The unrestricted free agent finished the 2018 season with 80 yards and a touchdown on 29 carries, adding three catches (on four targets) for 18 yards in 10 games. That is a long way from the 1,263 rushing yards and 12 touchdowns he had in 2012 with New England. 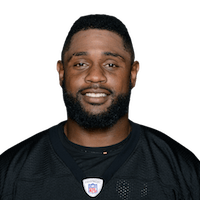 At 29 years old, Ridley has lost a step, and with Jaylen Samuels (22 years old) emerging as the primary backup to James Conner (23 years old), it remains to be seen whether Ridley will return to Pittsburgh next season. Ridley carried the ball three times for four yards and lost a fumble in Sunday's 31-28 loss to the Saints. Ridley ran three times for 16 yards during Sunday's 17-10 win over New England. Analysis: Forced into action with James Conner (ankle) missing his second straight game, rookie running back Jaylen Samuels ran for a season-high 142 yards, while Ridley mostly watched from the sideline. With Conner expected back in Week 16, Ridley's role may be further reduced against a Saints defense that allows the third fewest fantasy points per game to running backs (14.1). Ridley could see his role expand with the news that James Conner (ankle) is not expected to play Sunday against the Patriots, Ian Rapoport of NFL Network reports. Analysis: Jaylen Samuels wound up receiving the majority of the workload in Week 14 (92 total yards on 48 snaps), but Ridley did score a red-zone touchdown as part of his five touches. Even with a revenge game narrative looming, Ridley figures to a boom-or-bust fantasy play, entirely reliant on the whims of a Pittsburgh offense that could be limited by quarterback Ben Roethlisbergers' rib injury. Ridley's role in the Steelers offense could take a hit with James Conner (ankle) questionable for Sunday's contest against the Patriots, Teresa Varley of the team's official site reports. Ridley carried five times for four yards and a touchdown during Sunday's 24-21 loss to Oakland. Analysis: Although rookie Jaylen Samuels had 18 touches to Ridley's five playing in place of James Conner (ankle), veteran vultured a touchdown for Pittsburgh's first score of the game. If Conner remains sidelined in Week 15, Ridley may again be used near the goal line but will face a tough New England defense that has allowed just six rushing touchdowns to running backs this season. 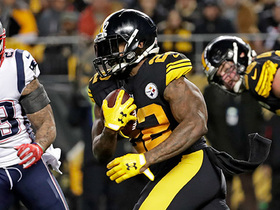 Jaylen Samuels said he Wednesday that he would serve as the Steelers' starting running back this weekend against Oakland, but he acknowledged the expectation of splitting snaps with Ridley, Jeremy Fowler of ESPN.com reports. With James Conner (ankle) out this week, Ridley is in line for added work Sunday against the Raiders. Analysis: The same applies to Jaylen Samuels, with some form of time share likely on tap while Conner is sidelined. Meanwhile, the team promoted Trey Edmunds from its practice squad Tuesday for added depth. While we wouldn't be surprised if the likely committee approach favors Samuels, Ridley is still worth a speculative add for those with extra roster space. Ridley ran for 26 yards on eight carries during Thursday's 52-21 win over Carolina. Analysis: Although he failed to catch his lone target, Ridley nearly matched his season total for rushing total leading up to this game (30 yards). Most of his work came after halftime with the Steelers already ahead 38-14 and James Conner being evaluated for a concussion. Ridley could see an increase in touches if Conner were to miss time, in the event that Le'Veon Bell (contract dispute) does not report, but Pittsburgh has 10 days for Conner to recover before taking on the Jaguars in Week 11. Ridley caught both of his targets for 13 yards during Sunday's 33-18 win over Cleveland. 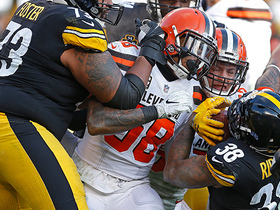 Analysis: The seldom-used running back also lost a fumble after making his second catch as the Steelers were driving in the third quarter. He now has 13 touches for 48 yards from scrimmage in six games, and the 13 receiving yards were his most in a game since 2013. With rookie Jaylen Samuels getting his first touches of the season, totaling 17 yards on four carries, and Le'Veon Bell possibly returning to the roster in the coming weeks, there is no reason to roster Ridley in any fantasy format. Ridley carried the ball once for a 2-yard gain during Sunday's 28-21 win over the Bengals. 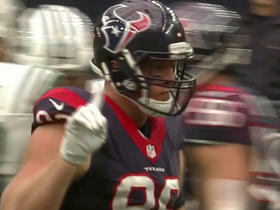 Ridley ran for eight yards on five carries during Sunday's 41-17 win over the Falcons. Analysis: On a day when the Steelers had a balanced offensive game plan, with 29 rushes and 29 pass attempts, Ridley provided little more than a breather for James Conner, who toted the rock 21 times. If Le'Veon Bell returns anytime this season, Pittsburgh will likely still find a way to involve Conner in the offense, leaving nothing but scraps for Ridley. Ridley ran three times for 18 yards in Monday's 30-27 win over the Buccaneers. Analysis: He played just five offensive snaps, and Pittsburgh running backs had just 18 carries all game, limiting his touches. Still, he seems to be the backup to James Conner, as rookie Jaylen Samuels still has no touches this season, making Ridley a sneaky stash in deep fantasy leagues. Ridley brought in his only target for five yards and ran the ball once for two yards in Sunday's loss to the Chiefs. Analysis: James Conner has become of the bell cow of the Steelers' backfield, leaving little room for Ridley or Jaylen Samuels in the rotation. As long as Conner can continue to perform at a high level, don't anticipate Ridley having much fantasy value. 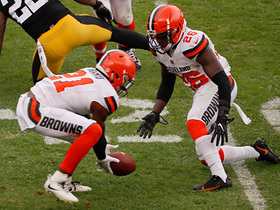 Ridley played just four snaps, all on special teams, in Sunday's 21-21 tie against the Browns. Analysis: There was some question as to who the primary backup to James Conner would be between Jaylen Samuels and Ridley with Le'Veon Bell (contract dispute) still holding out. It turned out to be no one, as Conner was the only running back to carry the ball all game, and he did an outstanding job, despite a costly late fumble. Pittsburgh tends to lean heavily on their primary runner, so Ridley's role seems limited for the time being. Ridley may be utilized while Le'Veon Bell (contract dispute) remains away from the team, Chris Adamski of the Pittsburgh Tribune-Review reports. Ridley earned a spot on Pittsburgh's initial 53-man roster, Jeremy Fowler of ESPN.com reports. Analysis: The Steelers also kept James Conner and Jaylen Samuels, which means Ridley could still be released if Le'Veon Bell (contract dispute) rejoins the team in the coming days, as expected. Ridley is five years removed from his last productive NFL campaign, and he averaged just 2.9 yards on 18 carries during the preseason. Ridley re-signed to a one-year deal with the Steelers on Tuesday, Adam Schefter of ESPN reports. 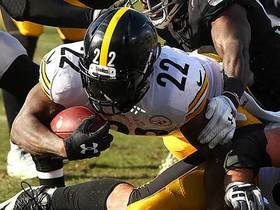 Analysis: The veteran back joined the Steelers for the final two games of the season last year, rushing for 108 yards and one score on 26 carries -- he did not see any action during the postseason. He'll now have an opportunity to compete for a backup role behind Le'Veon Bell this offseason, competing with James Conner and Fitzgerald Toussaint for depth chart position. Ridley, ran for 80 yards and a touchdown on 17 carries in Sunday's 28-24 win over the Browns, finishes up the 2017 season with 108 yards on 26 carries and the one touchdown in two games. 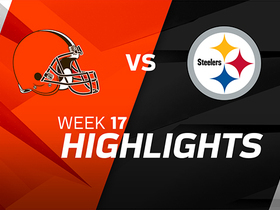 Ridley is expecting a sizable workload in Sunday's game against the Browns with the Steelers slated to hold out lead back Le'Veon Bell for rest, Aditi Kinkhabwala of NFL Network reports. Ridley carried nine times for 28 yards in Monday's 34-6 win at Houston. Analysis: Signed to a contract earlier in the week, Ridley saw his first action of the season, filling the role of Le'Veon Bell's backup after James Conner (knee) was placed on injured reserve. Ridley should continue to serve in that capacity in Week 17, limiting his fantasy value. The Steelers signed Ridley to a contract Tuesday, Teresa Varley of the Steelers' official site reports. 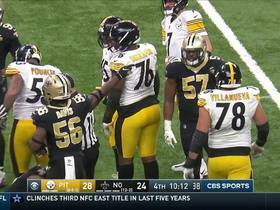 The New Orleans Saints recover a fumble by Pittsburgh Steelers running back Stevan Ridley. Pittsburgh Steelers running back Stevan Ridley is fired up after a 12-yard run against his former team. 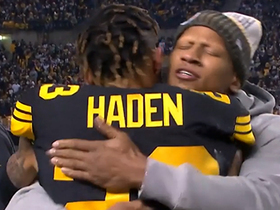 Pittsburgh Steelers linebacker Ryan Shazier hugs cornerback Joe Haden after an interception. Pittsburgh Steelers running back Stevan Ridley rushes for a 2-yard touchdown. 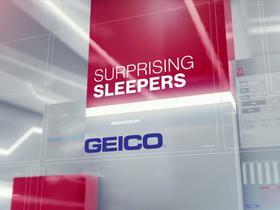 The "NFL Fantasy Live" crew break down surprising sleepers for the first round of the fantasy football playoffs. Pittsburgh Steelers running back Stevan Ridley runs in a 4-yard touchdown. 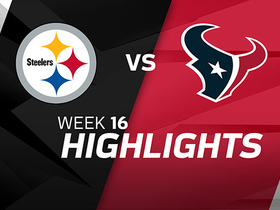 The Pittsburgh Steelers face the Houston Texans in Week 16 of NFL action.